Take a minute to admire the sheer size of this 6-Piece Deluxe Corner Computer Center. 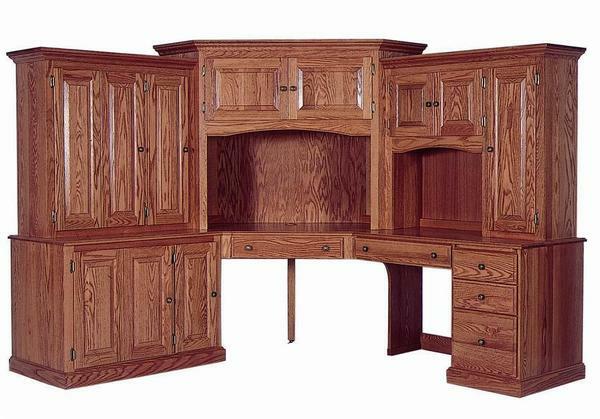 Handcrafted with pride by skilled Amish craftsmen, this impressive solid wood work station is sure to provide everything you need to be productive and organized with your daily work. Browse through the standard and optional features list below to see help with the ordering process of this massive Deluxe Corner Computer Center. Give us a call if you need any additional information or ordering assistance at 866-272-6773.